A new study published in the journal Health Affairs uncovers a harsh reality about our healthcare system: many American hospitals are marking up the price of services up to 10 times what it costs them to provide the treatments. Drs. Ge Bai of Washington and Lee University and Gerard Anderson of Johns Hopkins looked at the top 50 hospitals inflating their charge-to-cost ratios to better understand why healthcare costs in the US can be so astronomical, and what the two researchers found is enough to make you sick. These particular 50 hospitals’ 1000% mark-ups soar way above the national average of 340%. What does this mean? Let’s say it costs any hospital $1 to put a bandage on your paper cut, including labor, supplies, and facilities. At St. Typical Hospital in Anytown, USA, you (or your insurer) pay about $3.40 for the visit. However, if you were to slit your finger in close proximity to one of these 50 hospitals, your measly bandage could cost you $10 or more! Not surprisingly, all but one of the hospitals is for-profit, but perhaps more interestingly, half of these 50 hospitals are owned by the same for-profit hospital system. These mark-ups can spell bad news for the average patient. Most health insurance companies, both private and public, set their rates regardless of hospital charges, however out of network-patients might have to pay a significant portion of the charges themselves, and uninsured patients must pay the full charges out-of-pocket. Whereas typically the competition of the free market keeps service fees low for most industries, it is very difficult for the average patient to shop around for the best value when it comes to healthcare: provider policies and insurance practices are complicated and confusing, and the patient’s physical well-being is at stake. Without the limiting power of price-comparison, many hospitals have free reign over their charge-to-cost ratios. Another component of the problem is the convoluted structure of the American healthcare system. Healthcare costs can be covered directly by patients, directly through employers, through private health insurance companies, or through public assistance systems such as Medicare or Medicaid. 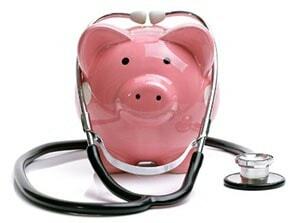 Hospitals negotiate their service rates depending on who is forking over the payment. Don’t let any bad luck follow you on your way out to Pensacola, Florida: the worst offender is a hospital just an hour outside the city called North Okaloosa Medical Center, which charges uninsured and out-of-network patients almost 13 times the Medicare-allowable price. The Federation of American Hospitals critiques Bai and Anderson’s article for neglecting to mention the $450 million of uncompensated care that the 50 hospitals combined provided in 2012. Not to mention the billions in charity care, the low-income discounts, and taxes paid to improve their communities. 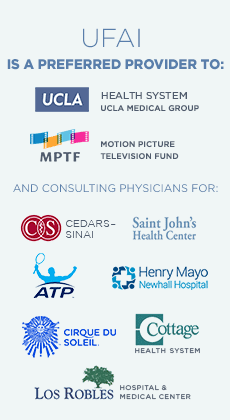 University Foot and Ankle Institute, a nationally recognized center of excellence for foot and ankle care, has 9 locations throughout the Greater Los Angeles area. For more information please call (877) 989-9110 or visit us at www.footankleinstitute.com.